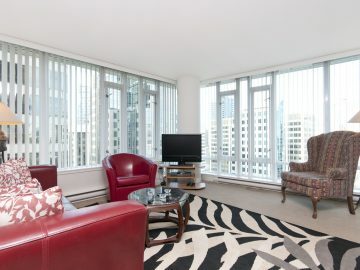 Year 2007 brand new suite in the downtown Vancouver prime location right above the Granville skytrain station. 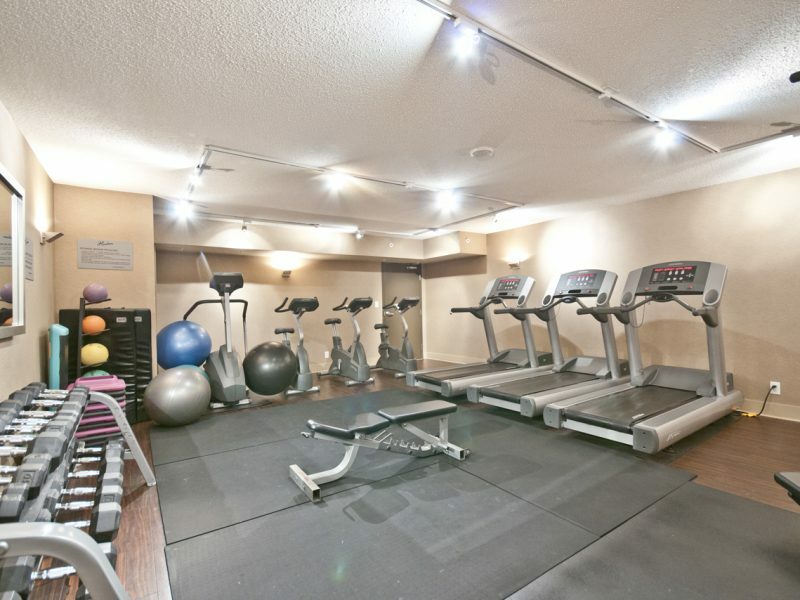 • A marble lobby entry with conceigre, exercise room, a large lounge and entertainment room. 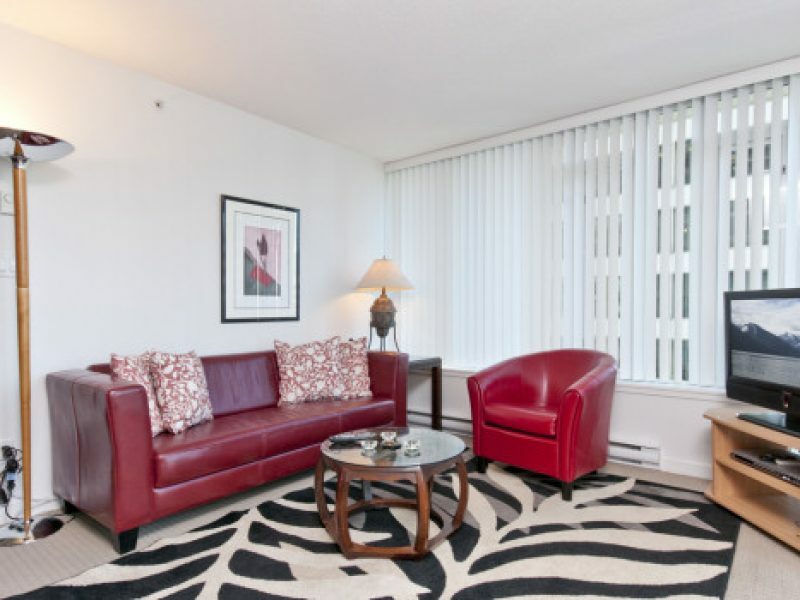 • Suite features Italian leather couch and chair. 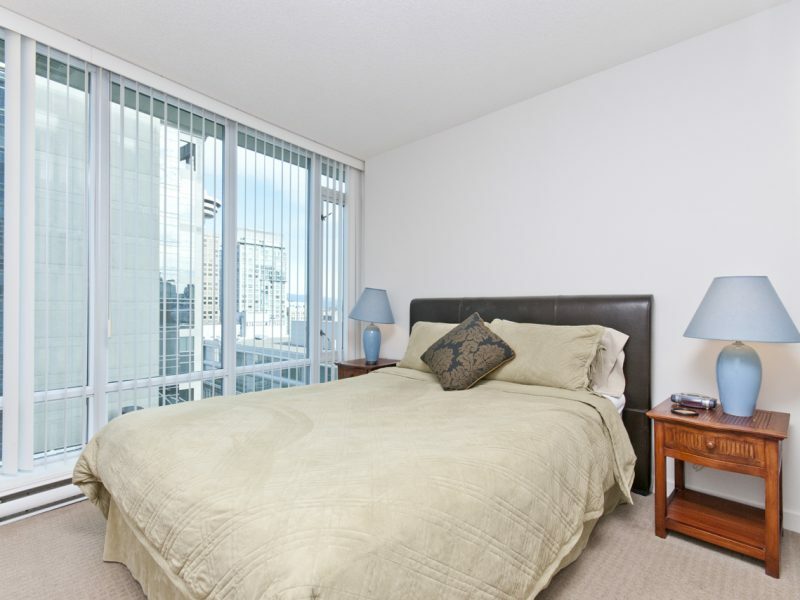 32″ LCD flat screen TV and DVD player. 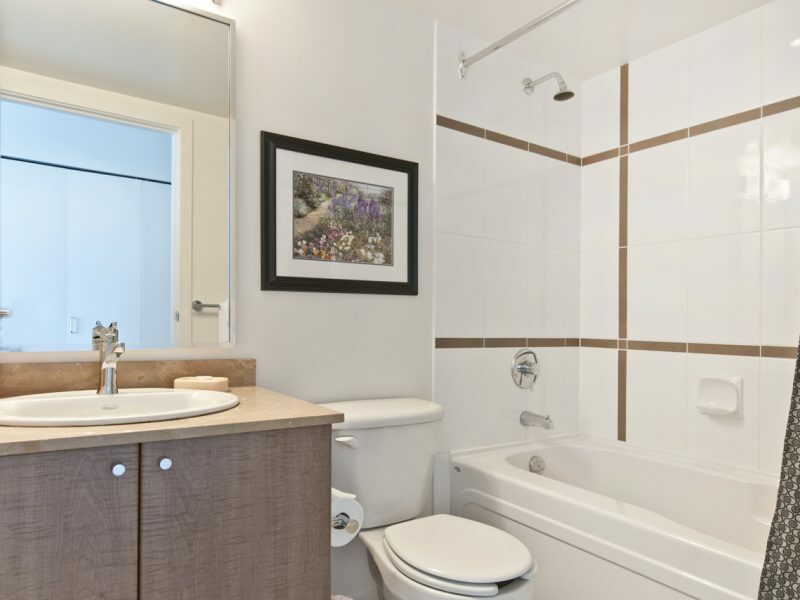 • 2 queen size beds in the bedrooms, n-suite bathroom and 6 in-suite appliances (stove, fridge, dishwasher, built-in microwave, washer & dryer), large marble kitchen counter top. 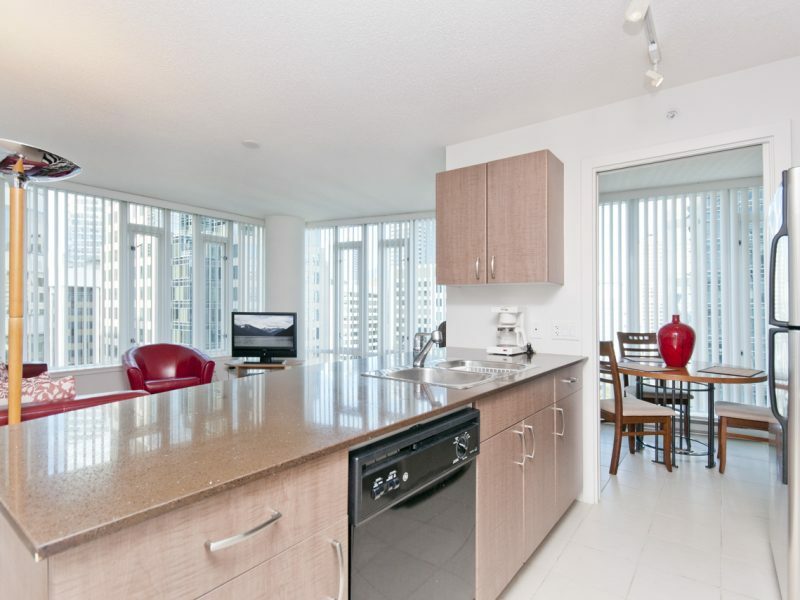 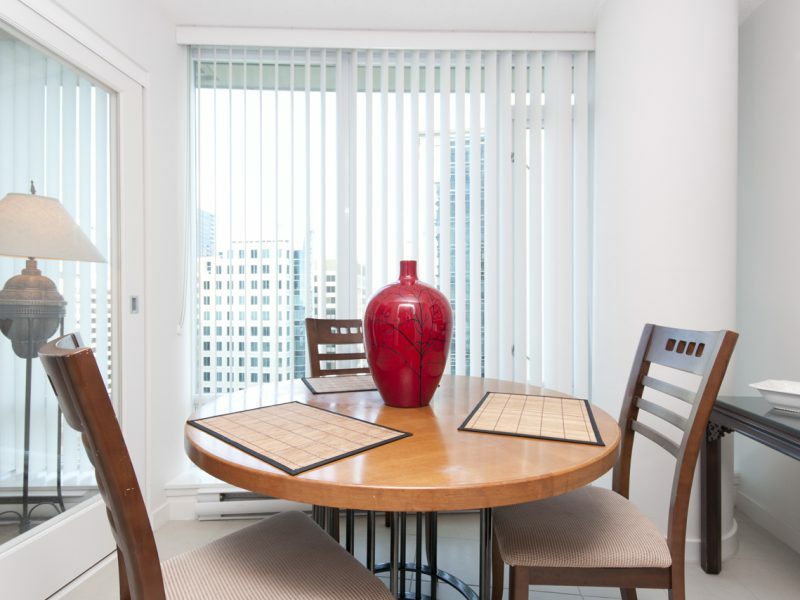 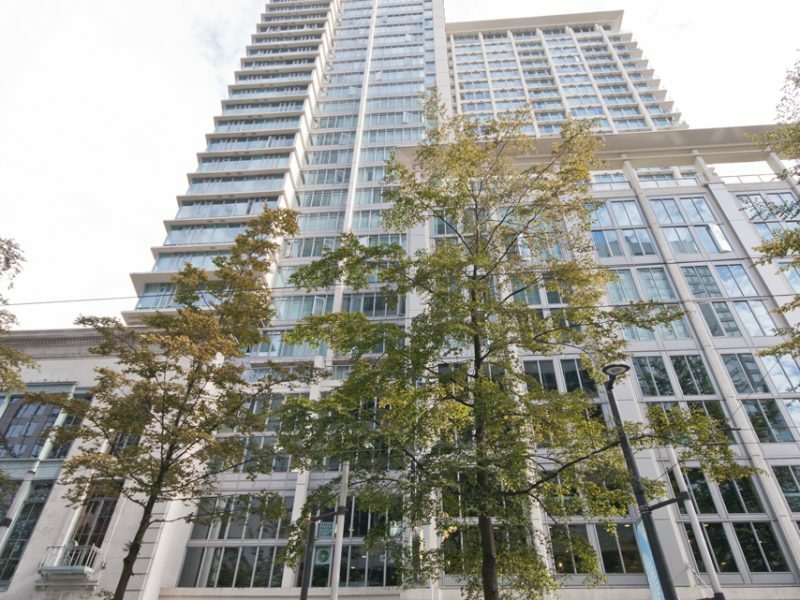 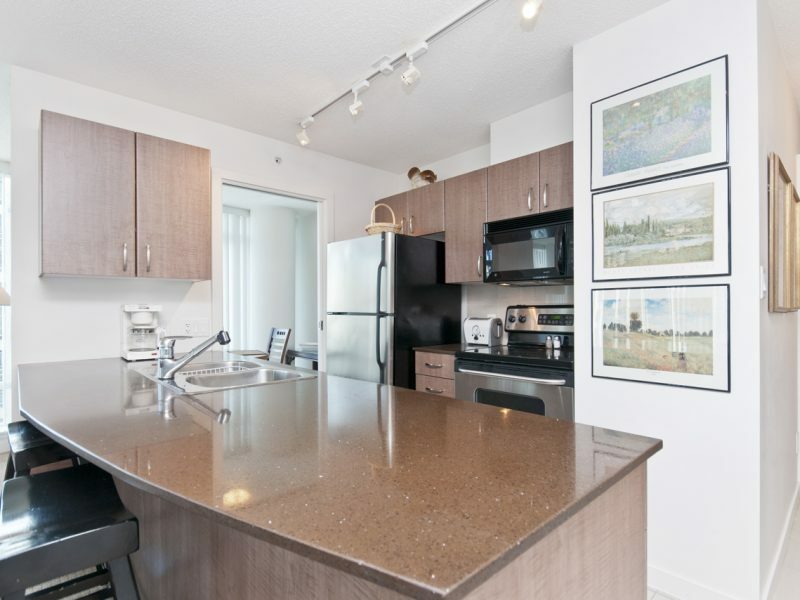 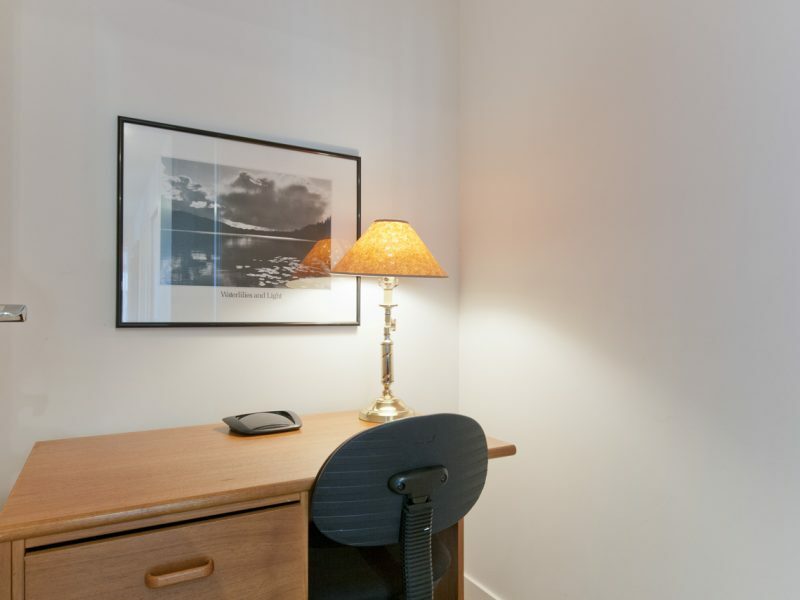 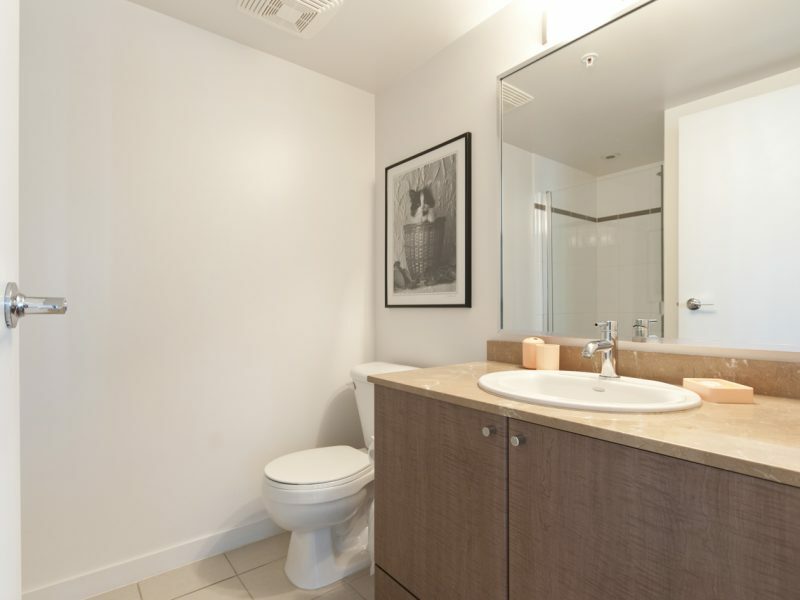 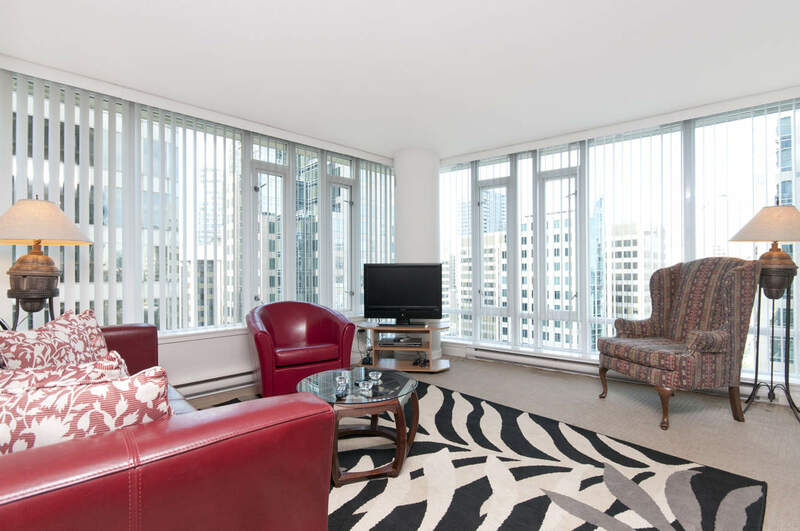 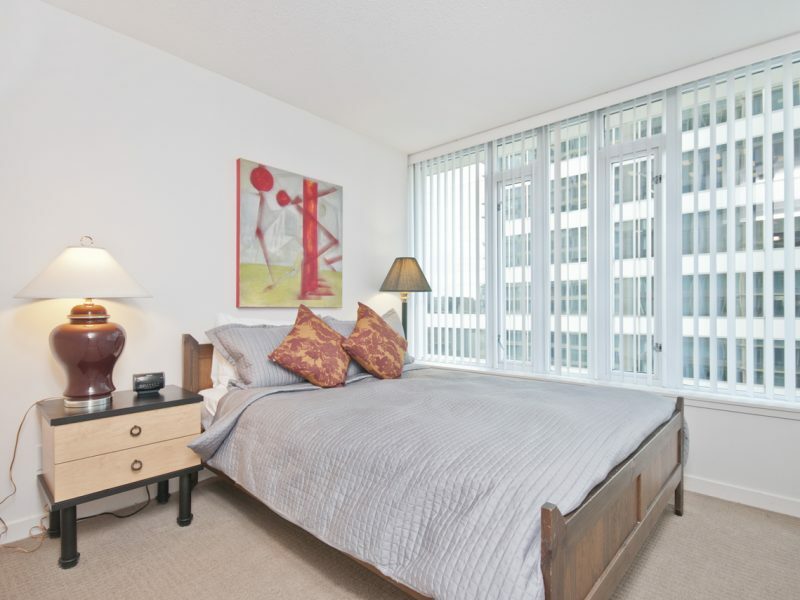 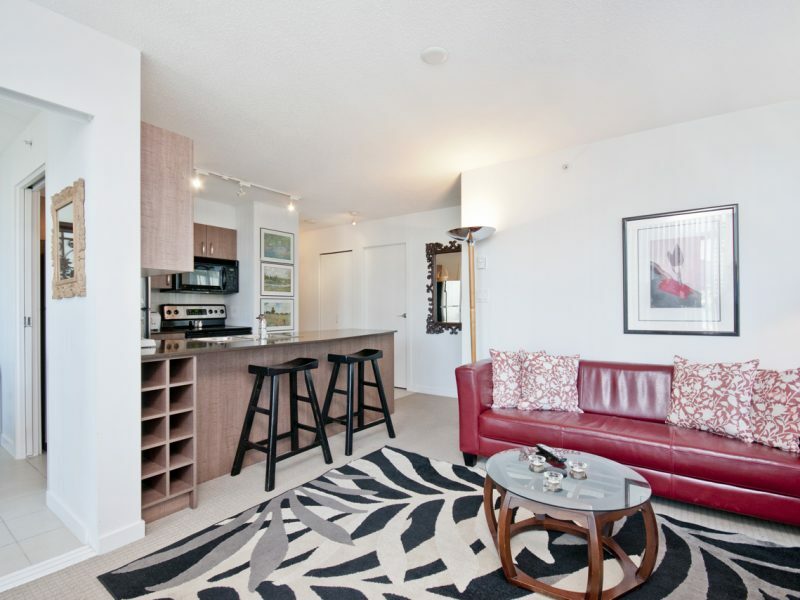 • High-rise building in the centre of downtown with ultimate convenience of transportation.